Opposition Leader Jason Kenney and NDP Leader Rachel Notley hammer home different visions for Alberta, after the latter announces the province will go to the polls on April 16. 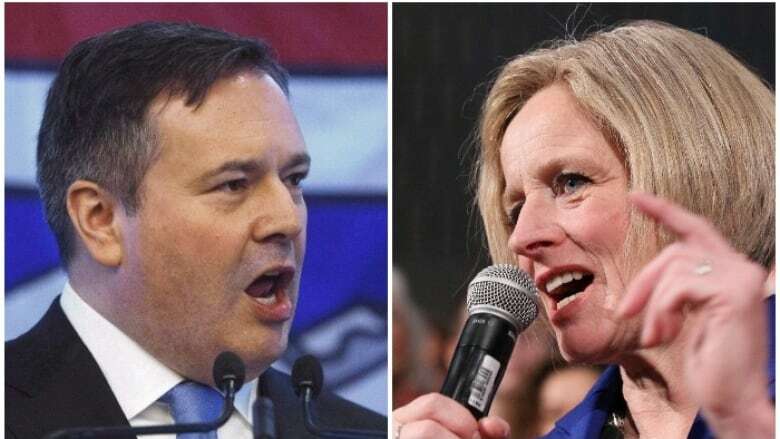 Opposition Leader Jason Kenney and NDP Leader Rachel Notley hammered home different visions for Alberta on Tuesday, after the latter announced the province will go to the polls on April 16. 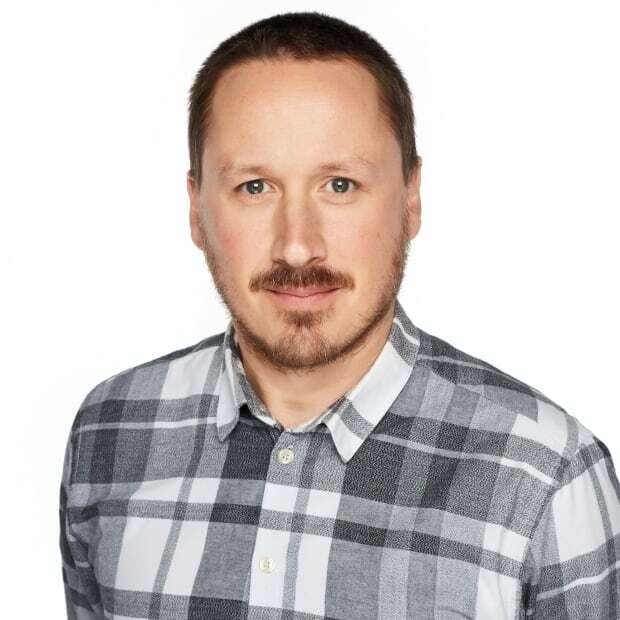 The start of the campaign came one day after the governing NDP delivered its throne speech in the legislature and amid a near-constant stream of controversies in recent days involving Kenney's United Conservative Party. Notley set the stage early for a battle between different visions for the province outlined by the NDP and the UCP, while Kenney painted a different picture in response later in the day. The NDP leader focused her attention on the controversies swirling around the UCP when she called the election before a cheering crowd at the National Music Centre in Calgary, saying she hopes to earn the support of disaffected conservatives. "A growing number of conservatives here in Calgary and across Alberta are coming to have serious doubts about Jason Kenney as premier," she said. She used those controversies to draw a hard line between her party and the UCP. "The politics of love and hope and optimism always trump the politics of anger, division and fear, and that's why I'm running to be premier," she said. Kenney has been weathering controversy over allegations that his campaign collaborated with that of fellow candidate Jeff Callaway in the party's leadership race. CBC News broke the story last weekend after obtaining documents that show top Kenney campaign staff were in frequent contact with the Callaway campaign, providing Kenney's purported rival with resources including strategic political direction, media and debate talking points, speeches, videos, and attack advertisements — all aimed at undermining Kenney's main political rival, Brian Jean. Separately, on Monday night, one of Kenney's star candidates dropped out of the running in the Calgary–Mountain View riding following the release of private messages from two years earlier when she talked about a double standard for white supremacist terrorists and said she was saddened by the "demographic replacement of white peoples in their homelands." In response to a question Tuesday about the statements made by Caylan Ford, Notley said: "I personally do not believe that Jason Kenney is racist, but I believe that the UCP as a party has a problem with racism." Kenney was eager to return to what he says will be the main focus of his campaign: jobs, the economy and pipelines — a trifecta he hammered home over and over again at a news conference that used oil and gas workers as a backdrop. He said the NDP would run a campaign of "fear and smear" in order to distract from their record, but did say he condemned Ford's remarks. "This campaign is not about politics, it's about people, the people who have been damaged by the ideological job-killing policies of the NDP and their alliance with the Trudeau Liberals," he said. Notley, mostly backed by families and children, also focused on the role that a re-elected NDP government would play in what she characterized as a more inclusive province — from rights to incomes. She said the election would be fought on the basis of investments in health care, education, diversification of the economy and, of course, pipelines. "The question is this: do Albertans stick together or do we turn on each other?" she said. "Jason Kenney wants two Albertas — one for the wealthy and one for the rest of us. He wants two Albertas divided over people's rights. "I want to continue to build one Alberta." The UCP has been busy making policy announcements in anticipation of the election call, including corporate tax breaks, different minimum wage levels based on experience and age, and a promise to undo some of the NDP's signature bills, including the controversial carbon tax. Kenney highlighted those policies again on Tuesday afternoon and said there would be a more fulsome platform around the mid-point of the election. The NDP has also promised to go beyond touting its record and unveil a policy platform once the election is underway. The election isn't just about two parties going head to head, however. 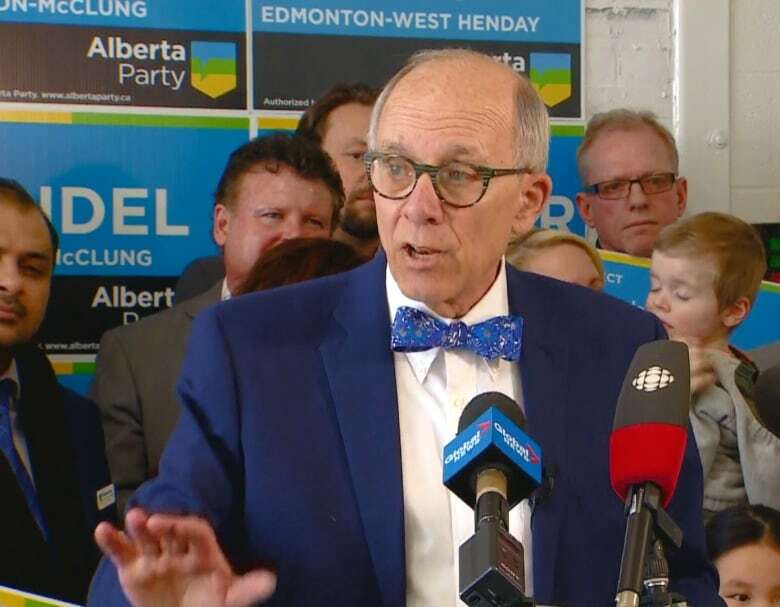 The Alberta Party, led by former PC cabinet minister Stephen Mandel, is largely perceived as the third party in the race, followed by the Alberta Liberals. 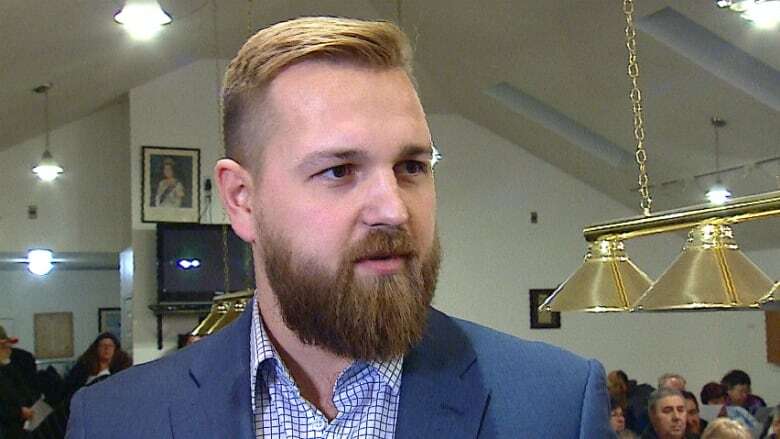 On the right, ousted conservative MLA Derek Fildebrandt will go into the election as the head of the Freedom Conservative Party. Mandel, launching his party's campaign on Tuesday, said he wasn't interested in getting involved in controversies and shouting matches. "What's been happening the last number of years is this negativity and I think Albertans are tired of it," he said. "We will make every effort to stay away from it. We will slip and we will make a mistake and say something that we regret, but at the end of the day, we hope we don't." Mandel said the Alberta Party would focus on its forthcoming platform and trying to convince Albertans the party is the best centrist choice. "Albertans are in the middle. Albertans are where we are," he said. "We think the future is in our hands." 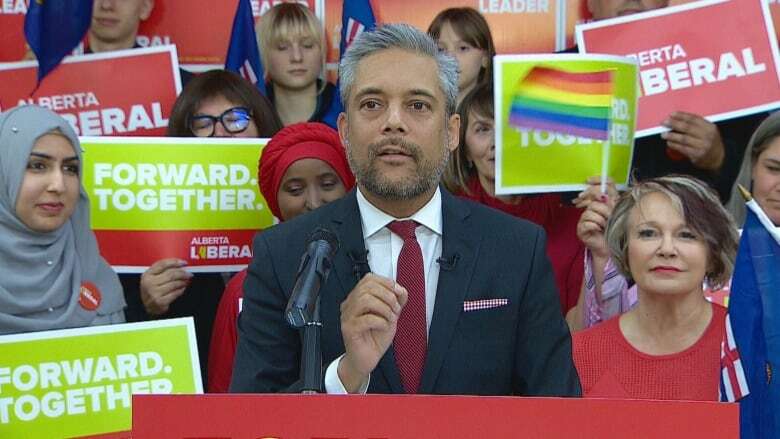 The Alberta Liberal Party, led by David Kahn, will run on a platform that includes job creation, health care improvements such as adding preventive mental health and addictions treatment, and reduced classroom sizes. Kahn told a crowd of supporters that his party would "support vulnerable Albertans" and "safeguard our precious environment." "This is going to be a change election. Alberta voters are ready for change. Alberta Liberals are that change," Kahn said to cheers. He criticized the deficit under the NDP and the UCP's plans, which he said would amount to slashing spending and cutting social programs. He also warned against privatized health care, using seclusion rooms and maintaining the first-past-the-post electoral system. A new session of the legislature began Monday with a throne speech that focused on the NDP government's accomplishments in the last four years — from building schools, roads and hospitals to providing more supports for seniors, students and those in need. It also criticized the former Progressive Conservative government and said the New Democrats have been working to overcome the failures of the past. The spring election will be the first for the United Conservative Party and Kenney, who was a federal cabinet minister under former prime minister Stephen Harper. The United Conservative Party was Kenney's answer to uniting the right, and was established in July 2017 by merging the Progressive Conservative Association of Alberta and the Wildrose Party. Freedom Conservative Party Leader Derek Fildebrant. Alberta Party Opposition House Leader Greg Clark. (Party Leader Stephen Mandel will be running as a candidate in Edmonton-McClung against incumbent NDP MLA Lorne Dach). PC MLA Richard Starke, the only MLA from the PC or Wildrose to not join the merged UCP caucus. Here's how the 87 seats in Alberta's legislature break down by party as of the election call. 52 New Democratic Party seats. 25 United Conservative Party seats. 1 Freedom Conservative Party seat. The three independent MLAs are Prab Gill, Robyn Luff and Rick Strankman, and the vacant seat was occupied by former Calgary-Varsity MLA Stephanie McLean until her January resignation.